The world gets a handful of leaders each generation that aren’t just leaders for leading’s sake, but are people of change and innovation, leaders that are leading to make the world we live in a place of meaning. These individuals, in which a majority of their time in public life are highly controversial, are our Leaders of Example. 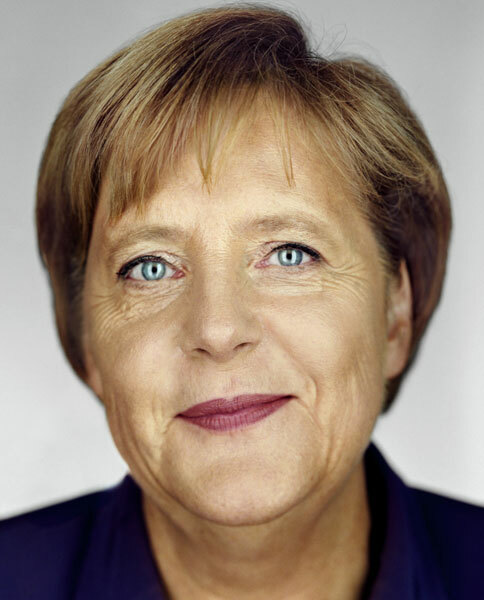 George Packer, of The New Yorker, recently penned an extensive exposé on not only the woman most aptly titled Most Powerful Woman in the World, but also the much more recent history of both a divided and reunified German State. The Quiet German is a must read for those with even the slightest intrigue into recent history, or an insightful journey into the rise of one of the most powerful people alive. Packer’s piece follows Angela Merkel from her roots in a divided state as a minister’s daughter, through her route of gaining education, a particular part I had never imagined being the millennial-aged American that I am, her time as a scientist and her subsequent foray into German politics and eventually the world stage. Packer also dives into accounts by those closest to Merkel and those who have worked with her in multiple respects, that she is a “serial thinker” and how her analytical mind is always at play. In place of rash outbursts or decisions, every move Merkel makes is methodical, calculated and founded in her belief in what she is doing. Angela Merkel has made her assent to power with one resounding trait everyone around her seems to be able to agree to: emotion is a rarity for her, and most see her as void of emotion all together. Sometimes, though, we need to check our emotions at the door. If you were to think back on meetings in your office in which very little got done, imagine taking the emotion out of the conversation and think about how long the meeting would have lasted. Would there have been a better outcome than what you came to? If any? We all know there is a place for emotion in the workplace, it is our passion that drives us to be emotional about what we do. In looking at great leaders and their assent to their positions, I have noticed one very resounding trait that we all can take a dose of: managing our emotions. Packer does an excellent job at identifying how and the consequences, both good and bad, managing emotion has affected Merkel’s path. Throughout all of the reading done here on this Leader of Example, the one thing the American people should read a little deeper in to, is the fact that, over time, she has made party lines a thing of the past. Any American with a tv or internet connection can tell you how nice that sounds on occasion. What if we were to all check our vision and “loyalties” at the door and come to the table with open minds and arms. Roll up our sleeves, take every issue and think it through for ourselves, not just take the face-value that we are given by each respective voice on TV, radio, print or just the person across the table with the better title. What kind of state would our world be in if we were all to follow some of Angela Merkel’s example of leadership? I hope you find this read as insightful as I did. Not only a great history lesson, but also a great example as to what is means to be a great leader, one of our generation’s Leaders of Example. Read The Quiet German by George Packer on The New Yorker’s website here.